The podcasting gods sure had fun with us on this one. We set out to create an episode about delivering a more remarkable audio experience to your audience … and then had to unexpectedly jump through every possible hoop to actually do it. The end result is an episode that is ironic, meta, and immensely useful. Jon: Stuff They Don’t Want You to Know (HowStuffWorks.com) — Will Yellowstone Explode? And here is a link to the Fresh Air episode featuring Marc Maron interviewing Terri Gross that Jerod originally had for this week’s recommendation. Jerod Morris: Welcome to episode number 11 of The Showrunner. I am your host, Jerod Morris, VP of Marketing for Rainmaker.FM, and I’m joined as always by Jonny Nastor, the host of Hack the Entrepreneur and defender of humanity. How do you like that intro? Jonny Nastor: I love that intro. I do. Really. Jerod Morris: You know what was great about that intro? It was a lot better when it was spontaneous, like two times ago when we recorded this episode. Jerod Morris: No, no, no. Jonny Nastor: No one knows. Jerod Morris: I know, but they have to. We have to lay this bare, what has happened with the recording of this episode. Is this our fourth try recording it, at least? Either times we’ve actually recorded or times we’ve been set up to record and something happened and we couldn’t? I think this is try number four. Jonny Nastor: Yeah, considering we actually fully recorded it once and then realized how terrible it was. Jerod Morris: Okay, so let’s run down, real quick, the litany of issues that we’ve had with this episode, which, ironically, from the beginning, was about how to deliver a better audio experience to the audience. It’s like the podcasting gods just wanted to laugh because we’ve had issues with white noise on our Skype connection that we cannot isolate. I had a bad internet connection recording from my closet, which meant that I had to come in and record in my home office, which is very echoey. I went back to our office here in Dallas and tried to record and we had a horrible connection there, so we couldn’t record with the digital mess-ups that you hear in Skype calls. Then you’re in a totally different location and had echo issues of your own that you had to try and work around. Jonny Nastor: Yeah. It’s been trying. Jerod Morris: It has been. Jonny Nastor: But here we are. Here we are. Jerod Morris: Here we are, and we’re going to deliver a remarkable show, a remarkable episode, because that’s the commitment that we make to our audience, but like you said, we actually recorded the full episode. We had to rig it where I was recording right into GarageBand, and you were recording directly into GarageBand, but your audio was so low that we couldn’t bring it up enough to make it sound good. We share all of this to say that, when you make that commitment to deliver a remarkable experience to your audience, sometimes it takes a little bit longer than you think, and sometimes you’ve just got to bite the bullet, as they say, and re-record or get creative with how you get good audio. That’s what we’re going to talk about in this episode, which are some of the ways that we’ve overcome these issues that have happened and some other low-cost or no-cost ways that you can deliver a better audio experience to your audience without a huge outlay of money, just with being creative. Do you want preface us jumping into the main topic with anything, or should we just cross our fingers and jump into it? Jonny Nastor: Let’s just cross our fingers. I don’t want to take any more time than we need, because something’s going to go terribly wrong again. Jerod Morris: I love your optimism. All right. Well, right after this, we’ll jump right into the main topic, and let’s hope it sounds good. Jerod Morris: Okay, so Jon, we’re going to talk today again about low-cost/no-cost ways every showrunner can deliver a better audio experience. Let’s start from the beginning, because the way that this whole episode came into being is that you recently went to Vancouver. People who have been following you on social media — I think we talked about on a previous episode — know that your family’s in Vancouver. That means you were in a totally new place to record, and right when you got there, we got on the phone. You let me listen, and it was extremely echoey because you’re in this big room. Why don’t you take it from there? Describe the issues and some of the creative ways that you found to work around it. Jonny Nastor: All right, so not only did I move to a new place, but for all of my podcasting career now — for 8 years — I lived in the same house, and I had the same office. For some reason, I got really lucky. It had carpet. It was a small room. Low ceiling. I literally set up one day, and I had really good audio. Everyone’s always talking about having audio issues. You’re working in the closet, and it’s always baffled me. I’m like, “Why is this so hard? You just set up at a desk and do it, right?” I got lucky. Now I completely don’t even have an office in this condo. I’m working in the kitchen. There’s a breakfast nook, and it’s hardwood floors, granite countertops, high ceilings. It’s completely not set up to record audio in, but this is where I need to record for the next month until I move to a new place that actually has an office. When you said how we recorded that first episode — in the intro you talked about it — and I had really low audio, like so low that we couldn’t even use it, I was completely cheating. Me, being non-technical, I don’t really know how audio works. I know when good audio sounds good, but I don’t know always how to make it sound good. I turned down the input where my mic is plugged into my mixer that then USBs into my laptop. I turned it way down. I was like, “Well, it’s not picking up all the echo anymore,” because it’s super turned down. I cranked my headphones so that it sounded good when I was listening to the conversation, but it didn’t work, obviously. Jonny Nastor: You just can’t do that. You have to actually work with reducing the level of echo, either within your room — which, the way I’ve done it now is I haven’t actually reduced it in my room. I’m hearing echo in my room, but I’ve completely dampened directly around my microphone with a hoodie that I was wearing and a Johnny Cash t-shirt. Jerod Morris: Let’s clarify. You didn’t dampen this by wearing the hoodie and the t-shirt. Jonny Nastor: I was wearing the hoodie and the t-shirt. Jerod Morris: Yeah, but now your microphone is wearing the hoodie and the t-shirt. Jonny Nastor: Exactly. This just goes back to just being in a band and recording previously when we would try and record for low-cost or no-cost ways. I’m a drummer, and I play drums really loud and hard. You can’t play quieter. You can’t turn down the volume on drums, so you just have to dampen. When you say something loud or you hit a snare drum, if it echoes back to you, that, in a microphone, is going to get picked up. You’re supposed to reduce that either through blankets on walls, carpet on the floor, egg cartons — how we used to use it — anything you can do like that. That’s why when you record in the closet, it works so well, because it’s tons of soft clothes hanging, which dampens your voice so that when you talk, there’s just one you, not you and then you back to you a millisecond later. If your mic picks that up, it sounds terrible. All I thought was, “Well, I obviously can’t in this huge massive room starting hanging carpets on the walls of this rented condo, and I can’t get rid of these countertops, and I can’t put carpet in because it’s obviously just not feasible in any way.” So I thought, “What if I just dampen directly around my microphone?” and then, because of the way my microphone works, it actually works quite well doing this. It’s working, and I’ve sent it to my editor. He’s happy with the sound. You’re happy with the sound now. I guess it just took some thinking, some thought about how to figure it out, how to work with it. But I do want to say that I fully understand, now, people’s audio issues that I always thought were just like, “Well, you just set up. Just set up at a desk, and just start talking,” because now I’ve experienced it. At the end of this month, I move to another place, and now we’re starting to move around, so I’m going to have to start dealing with this in each place I go to. That being said, though, the microphone helps, obviously, like the type of microphone you have. Some of them pick up distant sounds way better, or background noise. They pick it up more than others. The way my microphone works is it only really picks up directly in front of the microphone, and when I talked to the editor, he said if you can dampen right behind it so my voice goes to the microphone but when it gets past it, it doesn’t bounce back to the front of the microphone again, it will probably be good. I do have the benefit there that I do have a more expensive microphone that allows me to, in a more simple way, dampen my sound and make it sound better. Jerod Morris: Well, welcome to the real world of podcasting, Jon, where we do have audio issues. Jonny Nastor: I know. It’s crazy. Jerod Morris:Your experience gave me an idea, too. As I’ve said numerous times and you mentioned, a lot of times, I’ll record episodes from the closet at my house. That works a lot better for monologues when I don’t need an Internet connection, because even though I get a green signal in there, as you noticed, sometimes the connection isn’t perfect. It wasn’t feasible for me to keep doing it. So I’ve mentioned that my office in my house has wood floors. It’s got high ceilings. 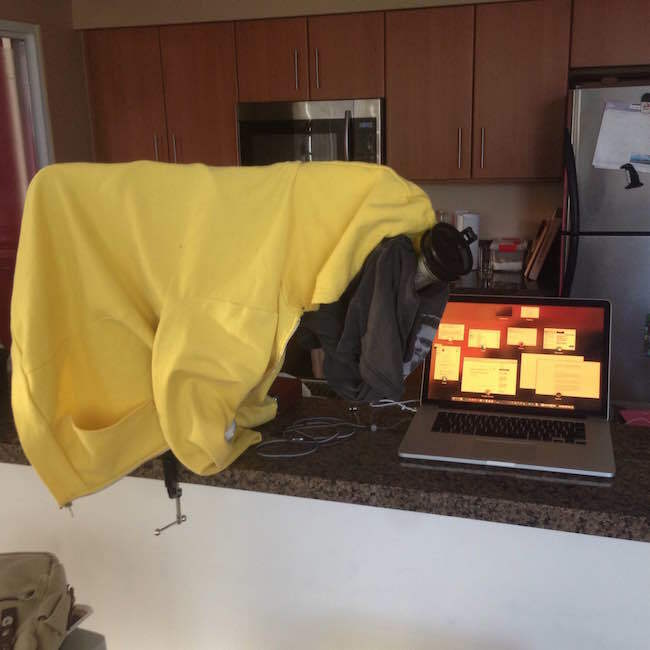 It is a horrible, horrible room for recording in, but your experience with the sweatshirt gave me an idea. I’ve actually got a little rig with some socks around my microphone that helped to dampen the echo a little bit. By the way, we’re going to put pictures in the show notes. You’re going to put pictures of your setup, and I’m going to put pictures of my setup. We’ve got some others that we’re going to get to here in a second, but I’m going to let you in on another little secret here, John. I am currently recording this with a blanket draped over myself and my microphone. Jerod Morris: Yeah. I’ve got it. Again, I’m going to put a picture of this, but this is why my audio sounds really good. I’m in the same room. If I take the blanket off — like right now the blanket is off — it may sound a little bit more echoey. But I put the blanket back on, and to me, when I actually did tests and listened to this, it sounded pretty similar to when I was in the closet because now the sound is being trapped by this fabric. Now, it’s really uncomfortable. It’s really hot under here. 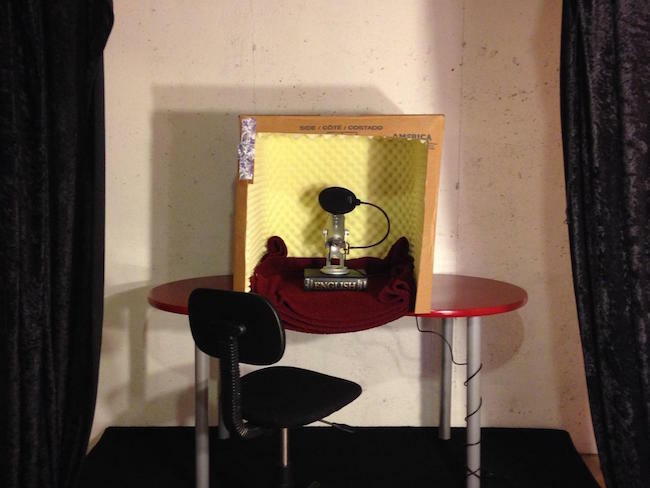 I don’t know if this is sustainable, but again, our whole idea here was to show people some of these creative low-cost/no-cost ways to get better audio, and that’s one way. That’s actually something I heard from Robert Bruce, where he said, “Just drape a blanket over your entire setup. It will help to dampen the sound.” And if that’s your commitment, then sometimes you have to do things that perhaps are a little uncomfortable so that your audience can be comfortable when they’re listening to you. We should say that these ways are working, and hopefully the audio experience everybody is getting right now as they listen is up to the standard that they’ve come to expect from The Showrunner. Certainly, if you can make your room better, that’s the way to go. Jerod Morris: I’ve got a couple of videos I’m going put in the show notes where it basically shows guys doing what we’re talking about. They start out in a really big, echoey room with tile floors and nothing on the walls, and just by putting blankets up, they soften the sound to where it sounds really good. Depending on the room you’re in, you might be able to do that. 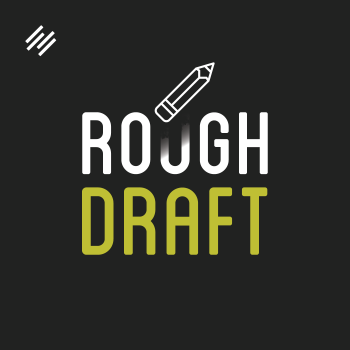 Another option is something that Demian Farnworth of Rough Draft and Tony Clark of The Mainframe, both shows on Rainmaker.FM, do and that a lot of people have done. They actually build a little recording box where they’ll take a crate of some kind, line it with foam or whatever they’ll put in there, and put their microphone inside of it. They talk into it, and it gives them this little booth for recording that gives good sound. Now, again, it’s not the most convenient thing all the time, and I know Tony actually disassembles his and reassembles his before he records. Damien’s, I think, is more consistent. I have pictures that we’ll put in the show notes of those guys, too. Again, it’s just another way that, if you can’t afford a big, expensive sound booth, which most of us can’t, to still get good-sounding audio. You were supposed to jump in there with something brilliant. Sorry, it’s hot under this blanket, man. Jerod Morris: I did. I did change my podcast recommendations. Jonny Nastor: I was like, “What? Did he?” Then I was literally standing and trying to think of what the original one was, and I couldn’t. Jerod Morris: You weren’t even listening to what I was saying. You were looking ahead to the podcast recommendations. Jerod Morris: I guess that’s the thing with our show. There are a lot of podcasts out there that are really good with the technical side. I listen to Dan Benjamin’s podcast — I really enjoy The Podcast Method — and he gets real into the nitty-gritty of the audio. I feel like we’re a little bit more guerrilla style. We know the audio has to be good, and clearly we’re willing to work hard to do it as this episode has proven, but there are some low-tech ways to do it as you work up to getting to the point where you can invest in better equipment. We want to show by doing, and that’s what we’re doing with this episode. I don’t know. What else do you have on this topic, Jon? Jonny Nastor: Well, with the microphones, though, I know that the microphone I have is good for reducing sound around you. So you can fight as hard as you want, but if you don’t have a good microphone, if you were recording into your laptop microphone or a microphone attached to your headphones or something, I don’t care what room you’re in, it’s not going to sound really good. I just read an article — was it for NPR? It was talking about getting that NPR sound. The guy got super technical about building new studios and how they get that sound for NPR. It was all this other stuff, all this room, all the voices, everything. Really the one, if it had to be boiled down to one, it’s this microphone they use that is $3500. I was like, “Oh, that’s the key!” It was like, “Oh, okay.” You know what I mean? Not that you have to do that. Mine’s nowhere near that cost, but it’s funny really. You can make up for a lot of bad room sound with a better microphone. You can’t make up for a really bad microphone with really good room sound. So there is something there. You can spend a lot of time and lot of money trying to make your room sound amazing, but if it’s still going into a microphone that isn’t of good quality then you’re fighting an uphill battle. So there is a certain level of quality where you should, if you really want that crisp, nice podcasting sound, there is a certain level. It’s not insanely expensive. A microphone could cost you $200, $300, and be studio quality, and you’d be good to go. Your room sound is a lot easier to deal with, then. The baseline is an easier starting point, so I guess that’s why I wanted to mention microphones. I know you use several different microphones depending on what location you’re in, right? Jerod Morris: Yeah, I have the Rode Podcaster on my desk, and then I have an H6 also that I record directly into. Jonny Nastor: Right, and so, it’s different between the two. It’s interesting. It’s an interesting thing, and I don’t think it should be avoided, even though we’re not experts in that field, to tell people that they can drape t-shirts and build these little things. Everybody we’re talking about, like Tony Clark, they have good microphones, to start, which helps. They’re not thousands of dollars. They’re a couple hundred dollars, these microphones, but at that level, you start to get a certain quality, and it deals with echo itself in a certain way. It’s easier for, especially a non-technical podcaster, to be able to deal with those external things if you have the right microphone. Jerod Morris: When our Showrunner contracts are up, we should hold out for the $3500 microphones. Say that we need the NPR sound. Jerod Morris: All right. Let’s wrap this topic up by asking you this question: was this worth it? Was it worth it for us to put all of this time into this? Recording, re-recording, me going to different locations, us setting up all these different times? I think the final product is good and is going to be a lot better than what it was initially. Was it worth it for us to go through all this, or in hindsight, should we have just used that first recording? Jonny Nastor: No. We absolutely shouldn’t have used that first recording, because I totally screwed it up by trying to cheat the system, and you can’t cheat the sound system. It just doesn’t work. I tried to cut out echo by not doing anything but turning down my mic input level. It doesn’t work. It would be foolish. You were loud, and I was super quiet, and we could boost that up in production, like in GarageBand, but it would have been horrible. So no. It’s unusable. My thought, though, was after you do that then, it’s like, “Oh man, should we even do this episode?” Meaning, “Should we just move on to another topic?” Because we’d already done it once, and so it’s hard. I don’t know for sure if we should have just kept the same one, but we definitely couldn’t have used that original recording, because on my end, I totally screwed it up. Even though we had a great idea — we each recorded our own side on GarageBand — I recorded terribly, and that’s why you didn’t even know during the recording, so it’s my fault. I take the blame fully. Jerod Morris: My heart sank so much when I opened up your file, and I’m hitting the volume up button. I’m like, “Wait a minute. Go up. Go up,” and it wouldn’t. Jonny Nastor: As soon as I got the email, I was like, “Yeah, yeah, I know.” I was hoping you wouldn’t notice or something. I didn’t know what else to do at the time. I just didn’t know. You got to roll with it. We got to record, right. Jerod Morris: That’s all right. It provided a good teaching moment, good lesson, so I think it all worked out in the end. Jerod Morris: All right. Well, on that note, let’s move ahead and get to our listener question, which is coming up next. Hey, so real quick before we jump into the listener question, I have to mention this. Once we got done recording this episode, and I listened back to it, the white noise from Skype was still there. If you have recorded enough interviews on Skype, you have probably dealt with this, where — out of the blue — there will just be this white noise with one connection. You don’t get it with other connections, but for some reason, with a particular connection, you just get this loud white noise, which is really distracting for a listener. It happened with me, and Demian, when we recorded The Lede, and for some reason, it’s happening now with me, and Jon, which means that we’re going to have to start recording directly into our own computers while we’re on Skype. That’s not a big deal. It’s just a little bit of a change we’ll need to make to our production. But for this particular episode, as you know, we didn’t want to record it again, so I sent it to the editor who edits the other Rainmaker.FM shows, Toby Lyles. If you go to TwentyFourSound.com. That’s Toby’s site, and he does a great job. I sent him this frantic email. I was like, “Hey, this episode goes out in a couple of days. We’ve got this white noise. Is there anything you can do to fix it?” He was able to put some noise reduction on it in Audition, which is the program he uses to edit, which made it sound so much better. You’re not actually hearing the white noise sound. It made it sound so much better, so I just wanted to give Toby a hat tip. We thought we had gone through all the steps already, but there was still another step after we got done recording that we had to go through to make sure that this audio was up to the level that we wanted. I just wanted to point that out before we move on and again, give major props to Toby, because he really came through for us. With that said, now let’s move on to our listener question. This week, our listener question is sponsored by Rainmaker.FM, which is the network that The Showrunner is on. It’s the network that Hack the Entrepreneur is on. Rainmaker.FM, as you know, is brought to you by the Rainmaker Platform, but one of the main reasons why I wanted to make special mention of Rainmaker.FM today on this episode is because we have a bunch of new shows coming out. One of those shows is called Authorpreneur, and I listened to the first episode, which was an interview with Michael Port. It is excellent. I highly recommend that. We also have a new show coming out called The Missing Link which is about LinkedIn, and Sean Jackson is hosting that. The first five minutes of his first episode may shock you. I recommend that you listen to it with an open mind, but it will be good, because Sean’s going to be giving you lots of good tips on LinkedIn. There’s a bunch of other new shows, too, so if you haven’t checked out Rainmaker.FM yet, if The Showrunner is the only show that you listen to, definitely go to Rainmaker.FM. Check out the shows, because there’s such a wide variety of topics that we cover and some really excellent shows. Anything that you want to add about the network, Jon, before we move on to our listener question? Jonny Nastor: Check it out. My favorite shows are already on there, and I’m really excited with these new shows coming out because I’ve seen some lists behind the scenes, and there’s some really cool stuff. The topics are widening out, which I like, and it’s great. It’s a great network. Listener Question: What’s the Most Time-Consuming Aspect of Podcasting? Jerod Morris: Okay, so the listener question this week is brought to us from Kayleigh Moore, @KayleighF on Twitter, and she asks, “What’s the most time-consuming element of podcasting?” which is an extremely interesting question for this episode. Recording, re-recording, driving to the office, testing audio — that certainly, right now, is the most time-consuming element of podcasting. But I would say overall, and I think you agree with this, Jon, it’s the overall time of production. It can depend. Sometimes it takes you a little bit longer to edit because you have an issue here or there. Sometimes it takes a little bit longer to get the raw recording because you have issues like we did here, so it’s just that the time of production is the most time-consuming element, to get really good audio and to take it from recording to final product. I don’t know that that’s really as specific an answer as Kayleigh wants, but it’s because there always seems to be one thing in there that you don’t quite expect per episode, and it takes you a little bit longer than you think. Jonny Nastor: Yeah, that’s exactly it. There’s always that one thing, isn’t there. It’s like, “Oh,” and then it takes way longer than expected, which, at this point, we should just expect that it’s going to take that long. Jerod Morris: Even if you have good systems in place, too. Here’s the crazy thing, for us. Jon, how many of these episodes have we recorded, and how many times have we gotten on Skype, and the day we went to record this episode for the first time, there’s just white noise so loud that we could barely hear ourselves think. It’s like, “Where did this come from?” You can’t really prepare for it. You just have to deal with it. Jonny Nastor: Exactly. When I answered Kayleigh’s question the first time, which didn’t get released because it was so poorly recorded on my end, I said that the longest, most time-consuming part for me of podcasting is every part except recording, which, in this case now, is the one thing that’s taken the most time, because this is our fourth try at recording this. 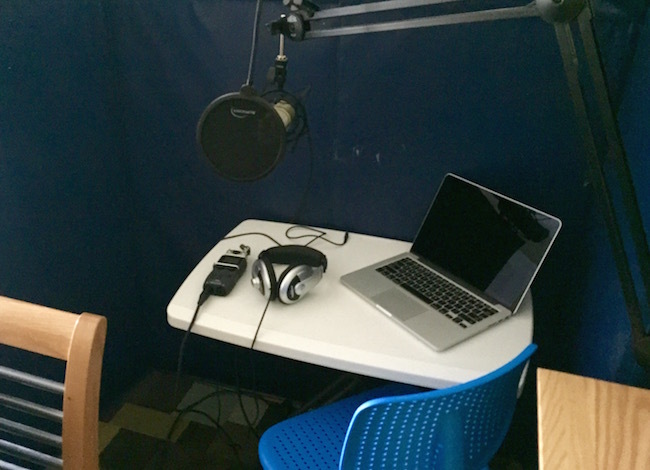 Typically to me, if everything goes well during a recording — with Hack the Entrepreneur, I do an interview. It takes me 22 minutes, and then it’s everything before that interview and then after with show notes, publishing, getting artwork, writing up the introduction for my guest and then recording that part — that stuff all takes a lot of time. I think the biggest thing to hit home about all of it is to know — we figured this out in the course, and we figured it’s between 2.5 and 3 hours to record an episode — that with all in, everything done right, will take about that much time. Kayleigh, make sure you think about this going into planning out your scheduling and how often you want to set up a publishing schedule per week, because you could try and convince yourself it’s only going to take an hour per episode. But we’ve talked to a lot of people. We’ve done a lot of episodes between Jerod and I, and we’ve figured that it’s between 2.5 and 3 hours. To kid yourself that it’s going to be less than that so you can increase your publishing schedule to way more per week is going to be daunting, and it’s going to be a lot of work. If you’re up for that work, then by all means do it, but to cut back on any one part of the publishing, like what you have to do to publish a podcast properly and to get it promoted properly, takes a lot of time. If you cut back on any of those and don’t go all-in on any of those, you will not receive the full benefit across all the other parts that you did do the full amount of work on, so you’re really just short-changing yourself. I guess the biggest thing is to know that it’s going to take a lot of time. As Jerod said, each episode, one of those things is going to take longer than it should every time. It’s the way it works, so know this going into it and plan accordingly. Set up your publishing schedule to fit that so that you know that you can keep doing this for the next six months, 12 months, 18 months, because it is going to be a lot of work, week after week after week. Jerod Morris: Are you ready for some podcasts and to find out why I switched mine at the last second? Jonny Nastor: Yeah, I really am. Jerod Morris: Okay. Let’s get to it. It’s interesting. We already did a podcast recommendation when we recommended Rainmaker.FM, but Jon, you and I also both have some specific recommendations we want to make. Originally, when we recorded this episode, I recommended an episode of Fresh Air that actually turned the tables, and it was Marc Maron interviewing Terry Gross, and I still highly recommend that. It’s a really good episode. Check that out. I’m changing mine because just this morning I decided that I wanted to listen to a new podcast, one that I had heard about. I always like to try and listen to something new, expand the horizons a little bit, so I finally listened to The Art of Charm with Jordan Harbinger, which I had not yet listened to. I had heard a lot of good things about it, but had not yet listened to it. It’s episode 413 with Dr. Aubrey de Grey, and he talks about how we can avoid aging. It’s a fascinating conversation about what causes aging, the kind of research that’s being done about how to avoid aging, and the timetables for when these kind of treatments will be available. Jordan has a very popular podcast. I believe that he will be at Podcast Movement if I’m not mistaken, but I’d highly recommend it. It came highly recommended to me, and I can see why. It’s episode 413 of The Art of Charm, which is the interview with Dr. Aubrey de Grey. How about you? What is your podcast recommendation? Jonny Nastor: Are you going to tell us how to avoid ageing? Are you going to make us listen? Jerod Morris: Yeah, you got to listen. 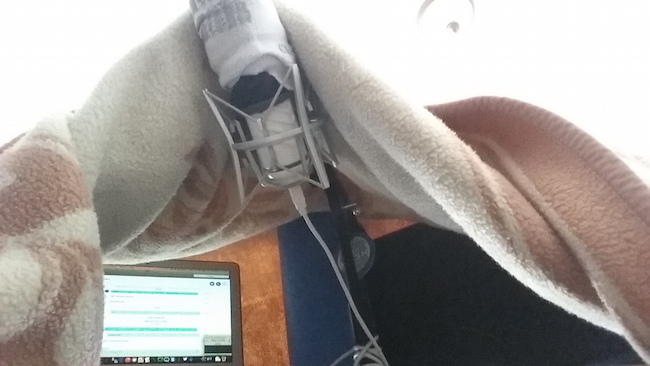 I’m talking in a microphone with a blanket over me. I don’t think I’m ready to offer up any anti-aging advice here. Jonny Nastor: Fair enough. On our road trip out to Vancouver, we listened to a lot of podcasts, a lot of new podcasts. I spent evenings in hotel rooms trying to find stuff. But we were going to Yellowstone to go hang out and check out Yellowstone and see its amazingness, and I saw a podcast the night before. I didn’t tell my family about it, but the title of the podcast was ’Will Yellowstone Explode?’ This is by HowStuffWorks.com. It’s part of their podcast network. The show is called Stuff They Don’t Want You to Know. It came out February 6th of this year — and a headline like that and going to Yellowstone the next day? Apparently it’s a super volcano underneath of Yellowstone, and it’s going to explode at some point and decimate large parts of the world, apparently not for the next couple hundred thousand years, so not really a need to worry, but it is an awesome podcast. There are two guys that co-host it, and it’s just like expert style. They don’t bring on guests. It’s just the two of them talking, and they have a great rapport back and forth, and they just talk about stuff they don’t want you to know. It’s interesting. It’s a great show, and that’s my recommendation for the week. Jerod Morris: Do you know what the problem is with re-recording episodes? When we first recorded this episode, we had a great little riff about this whole “Will Yellowstone explode?” thing, and it felt real natural. I was just getting ready to recreate it, and it felt tired, so I think maybe we’ll have to skip all the, “Oh yeah, it’s a great recommendation … if Yellowstone doesn’t explode.” I don’t think I can say it naturally. Jerod Morris: Yellowstone exploding. Yay. Jonny Nastor: There you go. That’s HowStuffWorks.com. Jerod Morris: I think I got really frustrated with that first recording when it didn’t work, and I deleted everything. But if I didn’t, then maybe I’ll go try and pull that in, and that will be a bonus track at the end of this episode. I’ll see. All right. I think, Jon, it’s finally time to put this episode in the books, get it out there finally, so let’s end with this call to action for everybody. Obviously you should get on the email list if you’re not. You can go to Showrunner.FM. That’s where you can find the show notes for this episode. The show notes for this episode will be more much jam-packed than others because of the images and the videos that I showed you for these no-cost/low-cost ways to deliver a better audio experience for your audience. In addition to that, this week’s call to action is listen to a new podcast. That was the reason why I wanted to listen to The Art of Charm, listen to something new, as a lot of times, we just get set in our subscriptions. We end up listening to the same shows over and over, and it’s important to challenge ourselves to discover new shows. So find a new show, whether it’s on Rainmaker.FM or one of our recommendations or just something else you’ve heard about but never given a chance. Find a new show. Give it a listen, and then Tweet us and tell us about it, because we’d like to learn from you, especially if you find anything worth listening to. 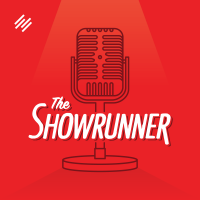 So shoot us a Tweet @ShowrunnerFM, and we’d love to hear it. Jonny Nastor: And go to Yellowstone before it explodes. Jonny Nastor: Second call to action. Oh, you’re only supposed to have one call to action on each episode. Jerod Morris: That’s actually three because we did the email list. Jonny Nastor: Your email call probably won’t even help you. Jerod Morris: Right. Exactly. All right, damn it. The Yellowstone stuff got fit in there anyway. Clearly we couldn’t avoid it. If we record it again, this would probably happen again. All right. Knock on wood. I get it. I just knocked on wood because I really hope we don’t have to record this again. All right. Jerod Morris: I know! I don’t know why. I’m scared to hit to stop on the call recorder like it’s going to do something and we’re going to lose the episode. I shouldn’t. We’re going to proceed forward with confidence. Thank you very much for listening to this episode of The Showrunner, and we will talk to you next week with another brand new episode. Jonny Nastor: That was fun. Gentleman, the audio quality is decent / good. Thank you for being honest; and this makes me feel like I can start without building a full sound booth. Hey guys— a $200 mic is not going to fix a bad room. That’s not good advice and a waste of money. A more sensitive mic may exacerbate the problems. Justin, you are absolutely correct; that would not be good advice. I’ll have to go back and listen to make sure we didn’t misspeak, but I believe Jon mentioned the $3,500 mic that NPR uses, but even that won’t fix a truly bad room. Loved this episode and the photos make me laugh. I have a question, how do you do your editing. We are just putting together our first podcasts and editing is something we have no idea about. Should we learn to edit the audio and send it off to an editor to put it all together or can we send the raw recordings? What do you suggest. Also what do you look for in a podcast editor? Thanks guys, I have not missed an episode yet. Your audio is only as good as the weakest link in your audio chain. Many perfectionists would say you shouldn’t record directly into your computer using a usb mic because the dynamics aren’t there. This puts a big damper on things when you are doing Skype type interviews, although there are great workarounds. This may also have been why your audio has digital distortion (clipping). The great NPR audio is not only achieved with great mics and great studios, but also with great recorders and signal processing (like compressors) and an engineer who is constantly monitoring the levels so that the audio is neither too high or too low. Ultimately podcasting will evolve to the point where excellent audio will be considered mandatory to compete in a given market as more and more listeners will develop a minimum acceptable quality standard. Thanks for the awesome show guys, and your transparency. Keep up the great work!